One of the notable assets of successful learners is their tenacity. So in creating a curriculum that promotes enquiry and interest, as an academic faculty we have got half way through the conundrum that faces teachers every day they go to work. That is, to ensure their charges are engaged in their learning. Now the next bit that follows is to ensure some ‘Trying’ happens. As Anne Atkins reminded us last week at Speech Day, it was Winston Churchill’s maxim to “Never, never, never, never give up”. Before Dear Reader you feel I am going soft on school achievement, I am happy to confirm I am not. But what is so obviously the case in a school that chooses not to select by ability is that we attract a substantial number of children who will be known as ‘Divergent Thinkers’, but who in their school years are rather more obviously labelled as Dyslexic and/or Dyspraxic, to name but 2 ways of thinking that are not of the convergent, linear kind. Of course we have a clear duty to ensure such learners gather the strategies that assist them in coping with their inabilities to spell or lack of fine motor control, and in the main that happens by some discrete withdrawal from class. But what such children do obviously have in abundance is other talent. Much of the time, these different ways of thinking highlight our better actors, artists, creatives, music technologists, sportsmen and computer ‘geeks’. It may be true that perhaps it seems they could do with learning to spell better, but actually spending more time on that won’t improve their accuracy. What you do notice is that they can spend inordinate amounts of time engaged with some very difficult problems that need solving, or practicing relentlessly to ensure that a dance movement or rugby conversion is reliably accurate. And it is not just that they show tenacity, but they also come at problems from new and different angles. Now that might frustrate their teacher who was rather expecting a logical answer to the 2+3= question, but in the bigger picture that’s not the case. And it is their obvious other strengths that so enrich the friendships and achievements within their peer group, and as we encourage a very good deal of collaboration in what we do, it is no surprise that their relative strengths and weaknesses help our balance more generally. And it is not just me that thinks this, by the way. 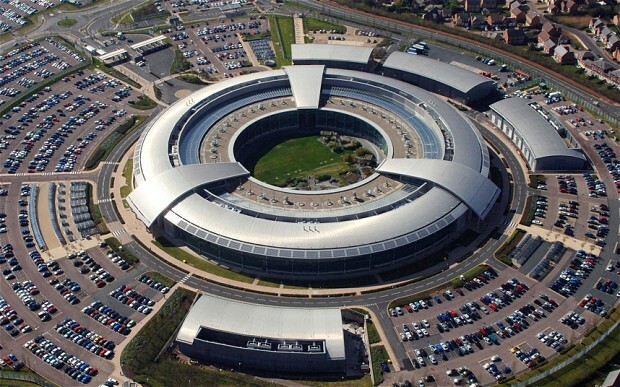 GCHQ need to employ over 100 ‘spooks’ who have this have just opened up some serious recruitment opportunities for Divergent thinkers, in their ‘Thirties it seems, to assist in their higher level problem solving and code breaking. read more about that here in this week’s Daily Telegraph. However much we would like to think that it is all about traditional routes to success, actually it is far from that for so many now and in the past. As Richard Branson’s nomination as the UK’s most admired businessman of the last 50 years indicates, dyslexics not only can get to the very pinnacle of achievement, but also carry with them a feel-good factor too. Because he struggled every day at school, he knows and appreciates that for many, life does not come easy. Here’s a nice article that wraps up Branson’s learning and life in one easy read, and as we know, he’s certainly an example of someone who never gives up! This entry was posted in Uncategorized and tagged Anne Atkins, Maya Angelou, Winston Churchill. Bookmark the permalink.